These are vintage pendants and I only have a few – but even new ones are good, I’m not biased toward vintage (much). This is what “I need it now” DIY jewelry is about, you know? You have a simple silver or golden chain. Find a jewel like this, attach a jump ring, and slip it on the chain. 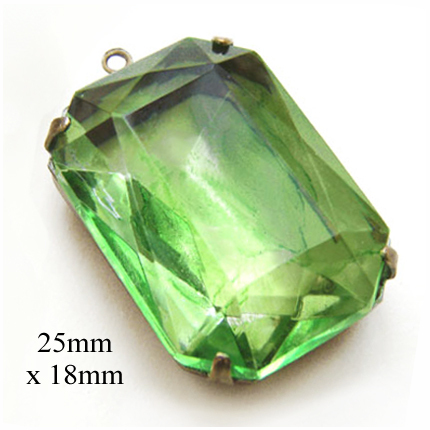 Presto: gorgeous pendant in a wonderful color. It doesn’t get much easier. I don’t even have to explain why I’m featuring these. Just look. 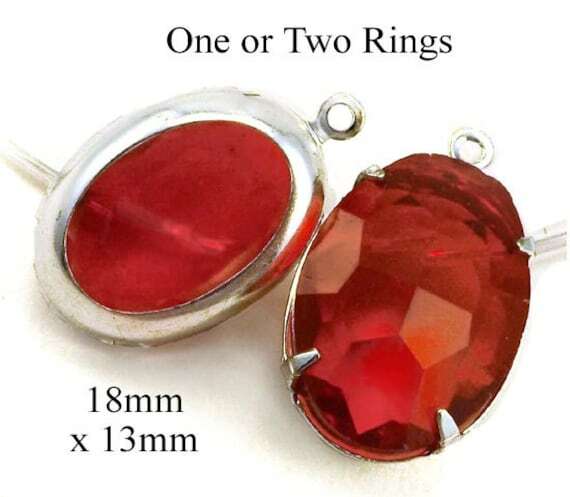 Faceted red glass jewels. Sheer and vivid. Gorgeous. Slip on a jump ring, add a chain. Instant fabulous necklace. Or add earwires: you’re done. They’ll be smashing with your new dress, for Christmas, or with your jeans. That’s the kind of jewelry you want (or want to sell!) Classy, vivid, easy, affordable. And sometimes, simple will do. Sometimes simple is BEST. For example, an opaque, round glass stud earring. Classic and easy to wear. You know there are times when you want something a little…quieter. 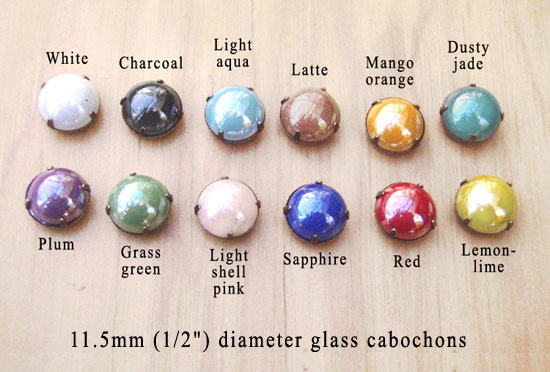 Work, church, visiting the in-laws… and these glass cabs are available in so many colors, you can get just what you want. If you don’t see your color, just ask!